Note, some of the following links are affiliate links. This means I may receive a commission if you click through and make a purchase. This helps me create useful articles like this one. Thanks for your support! Pantheon has a publishing workflow unique to the WordPress hosting industry. Keep your development and testing separate with different environments for development, testing, and the live environment. The live environment is not writable with the exception of the uploads directory. 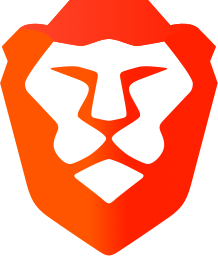 This is an added security protection and helps keep your site safe from accidental or malicious changes. Use advanced features such as custom upstreams to create a reusable codebase. Git is built-in to the platform. Use Git to track all code changes, and for local development. Use the Pantheon command-line tool, Terminus, to manage site operations and maintenance. Stored your automatic daily backups offsite with Amazon S3. All plans include SSL with Let’s Encrypt certificates, and a global CDN to improve site performance. Pantheon support advisors are prompt and friendly via the chat system. Additional ticketing and phone support is available on the higher-priced plans. 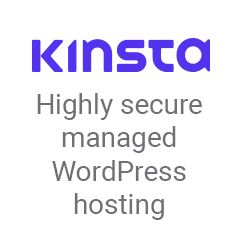 Kinsta is managed WordPress hosting built on the Google Cloud platform. Choose from 19 data centers around the world. Kinsta is cloud hosting with each WordPress website in its own isolated container. By isolating server resources to individual sites, this increases performance and security. Plans include a CDN, SSL with Let’s Encrypt, staging environment to test changes and updates, and page caching at the server-level to speed up website delivery. Kinsta has a hack cleanup guarantee. If your website is hacked, they will fix it for you. Thankfully I haven’t needed that service, but it may have come in handy on some past projects (not on Kinsta). The Kinsta dashboard is modern, well-designed, and easy to use. Set up multiple users for the same account so you can collaborate with account administrators, website developers, and others. Kinsta supplies developers with SSH access, Git, and WP-CLI. When you sign up for an account, Kinsta provides one free site migration. You can migrate other sites as well for a fee. Kinsta offers a 99.9% uptime guarantee. Starting at $30, the pricing is reasonable. And you start to get a break the more sites you add. A five website account will run $20 a site or $100 monthly. Flywheel is a WordPress hosting solution aimed specifically at designers, freelancers, and agencies. Their pricing is very competitive and will appeal to freelancers managing multiple sites. As with other managed WordPress hosting providers, Flywheel is built on the Google Cloud platform. Flywheel has a blueprints feature—similar to Pantheon’s custom upstream—which allows you to package your commonly used themes and plugins. This way you can deploy a new client site with your go-to themes and plugins and start building websites faster. Flywheel has staging and site cloning features allowing you to manage and test changes before they move into production. Similar to Kinsta, Flywheel also has a hacker cleanup guarantee. One thing that will surely appeal to freelancers hosting client sites, is a way to transfer billing directly to your client. Nexcess supports multiple content management and e-commerce platforms including WordPress, Magento, ExpressionEngine, and others. I started using Nexcess in 2013 for ExpressionEngine website development and hosting. Nexcess has since expanded into cloud hosting designed with auto scaling to handle spikes in website traffic. The Cloud Accelerator layer is built with Nginx to cache your website static assets and speed up load time. Nexcess works with e-commerce customers and provides PCI compliant hosting. Their WordPress Cloud Hosting includes development and staging sites as an option. Nexcess has some of the best support I have experienced in the hosting industry. Support is handled through a ticketing system in your client portal dashboard. Response times are quick, and support is available 24 hours a day, every day. I’ve never needed to call, but they do have support phone numbers as well. With a range of plans from shared hosting to cloud hosting, and support for other platforms beyond WordPress including Craft, Magento, and ExpressionEngine, Nexcess appeals to a wide variety of customers and budgets. A WordPress hosting roundup wouldn’t be complete without mentioning WP Engine. WP Engine is one of the biggest players in the managed WordPress hosting market. WP Engine is cloud hosting built on the Amazon Web Services platform and global data centers. All plans offer the latest technology including PHP 7, HTTP/2, a CDN, and SSL with Let’s Encrypt. All plans have development and staging environments so you can test updates and changes before they go live. Connect to the hosting environment with SSH, Git, and SFTP. Agencies and freelancers can transfer site ownership to a client after launch. WP Engine uses proprietary threat detection and blocks potential attacks at the server level. Backups are automated, and recovery assistance is available in case something goes wrong. Caching speeds up website delivery, and scalable architecture handles any traffic spikes. WP Engine also has resources for agencies through their agency partner program. Recently, WP Engine acquired some major WordPress theme development companies. With the acquisition of StudioPress and the Genesis Framework in particular, they’ve expanded their audience and potential customer base. All of their hosting plans include the Genesis Framework. (The entire theme collection is selling for about $499 separately, and $129 for an individual theme and the Genesis Framework.) WP Engine also acquired one of my favorite theme shops, Array Themes. Array built the Atomic Blocks plugin, custom content blocks for the new Gutenberg page editor in WordPress.